Any C program compiled with the free Visual C++ compiler from Microsoft requires runtime library that has to be installed separately. Update: not completely true, if you use change the runtime library to the non-DLL version (Project properties/C++/Code generation tab), the exe size increases, but the external dependencies are removed. The Visual C++ 2008 that I've used has no publicly available runtime library that you could install. The new build can be downloaded from the same location. It includes a README file that documents the changes made to the source. To run it, you have to install the VC++ 2005 runtime library from Microsoft. Update (2007-10-03): I've rebuilt the image with static runtime library, so the VC++ runtime DLL is no longer needed. Thanks to Vladimir Kocjancic for figuring this out for me. After these changes, the utility should be able to execute on Vista as well. Apart from the rebuild, I've fixed the ICMP destination network unreachable handling, which is considered identical to successful ping in the MTU measurement code (I still need to fix its handling in the trace part of the code). Whenever the Windows TCP stack receives an ICMP specifying the maximum MTU, it caches the reported MTU size (makes sense). The cached MTU sizes eventually expire (but I was not able to find any documentation on the expiration time). I was also not able to find any documented way of purging the path MTU cache. The command that works for me is the route -f which flushes the IP routing table. Obviously, after executing route -f, the DHCP-installed default route is gone, so you have to execute ipconfig /renew. I wanted to get in-depth details on how various MTU parameters interact in GRE/IPSec/MPLS environment. Before going into router configuration details, I wanted to have a tool that would reliably measure actual path MTU between the endpoints. After a while, Google gave me a usable link: supposedly the tracepath program on Linux does what I needed. 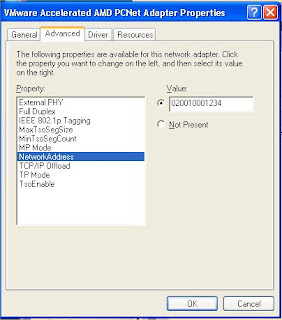 As I'm a purely Windows user (for me, PCs are just a tool), I needed a Windows equivalent … and found mturoute, the utility that does exactly what I was looking for.Unfortunately, the original mturoute had an interesting bug: ICMP unreachable generated due to DF bit on oversized packet was accepted as a successful ping. The second run of the program always reported the correct MTU size (as Windows caches the maximum MTU per destination host), but I wanted to be more precise. Half a day later, after installing Windows SDK and Visual Studio Express on my PC, rediscovering my C programming skills and reading a lot of Winsock documentation, I've managed to fix the bugs and even add a “retry on ping timeout” feature. You can download the fixed version (source + exe) from the Articles area of my web site. It was compiled and tested on Windows XP, if you can test it on other platforms (2000, Vista), please let me know the results. We have just released the new version of the Securing Networks with Cisco Routers and Switches (SNRS) remote lab exercises. They are an ideal companion to books or e-learning material if you're preparing for the CCSP exam. You can also use them as a great practice environment if you have to support security-related IOS features in your network, but simply don't have the extra equipment to test them out before deploying them. As a side note, what really amazes me is the fact that Cisco has rolled out a mainstream certification course that supports pretty recent features (up to IOS release 12.4(6)T), including control-plane policing, management-plane protection, zone-based firewalls and Web VPN. action 1.0 syslog priority errors msg "IP routing on Serial 0/1/0 is $_track_state"
The last week's creative challenge was obviously too easy; a number of readers quickly realized that the CEF accounting can do what we need (and I have to admit I've completely missed it). However, when I started to explore the various CEF accounting features, it turned out the whole thing is not as simple as it looks. To start with, the ip cef accounting global configuration command configures three completely unrelated accounting features: per-prefix accounting (that we need), traffic matrix accounting (configured with the non-recursive keyword) and prefix-length accounting. The per-prefix accounting is the easiest one to understand: every time a packet is forwarded through a CEF lookup, the counters attached to the CEF prefix entry are increased. To clear the CEF counters, you can use the clear ip cef address prefix-statistics command. The per-prefix counters are also lost when the IP prefix is removed from the CEF table (for example, because it temporarily disappears from the IP routing table during network convergence process). The CEF per-prefix accounting is thus less reliable than other accounting mechanisms (for example, IP accounting). Note: The CEF per-prefix counters are always present; if the CEF per-prefix accounting is not configured, they simply remain zero. Last but not least, you don't need the detail keyword if you want to display the CEF accounting data for a particular prefix. The show ip cef address mask command is enough. And, finally, if you're running IOS release 12.2SB or 12.2XN, you can inspect the CEF counters with SNMP. If you're studying for your CCSP exam or have to test some of the new features available on PIX and ASA, the remote lab exercises supporting the Securing Networks with PIX and ASA course from Cisco might be just the right thing for you. You'll be able to configure firewall and VPN features of PIX/ASA, as well as test its integration in a network, for example, usage of AAA server and deployment of WebVPN. The lab exercises also cover interesting improvements like transparent firewall, virtual firewall and active/active failover. When we were writing the MPLS and VPN architectures books, there was a limit on the number of OSPF processes you could configure per PE-router. 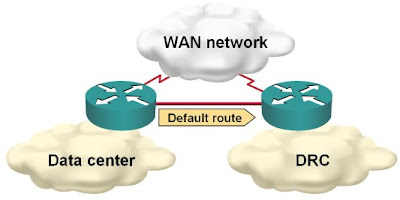 The limit was based on the fact that IOS supports up to 32 sources of routing information; two of them are static and connected plus you need an IGP and BGP in the MPLS VPN backbone, resulting in 28 OSPF processes that could be configured on a single PE-router. This "feature" severely limited OSPF-based MPLS VPN deployments until IOS release 12.3(4)T when the limitation was removed, resulting in availability of up to 30 routing processes per VRF. The details of the actual change that took place are not obvious from the IOS documentation; they simply changed the global allocation of routing process identifiers to per-routing-table identifiers. 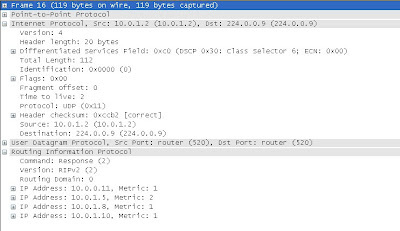 For example, in the following show ip protocol summary printouts, the two OSPF processes (one in global routing table, one in VRF test) share the same index. Extract all the files from the ZIP archive and copy the Tcl files into a subdirectory on your router's flash (I would recommend you use flash:tcllib/dns). Install a Tcl interpreter on your workstation (use ActiveState's ActiveTcl in Windows environment). Collect all the source files needed for your set of packages into one directory on your workstation. Execute Tcl pkg_mkIndex command in that directory. Edit the pkgIndex.tcl file created with the pkg_mkIndex command and set the $dir variable to the IOS directory before the first package command (for example, set dir "flash:tcl/"). Alternatively, add the Tcl command set dir [file dirname [info script]] in front of the first package command. This command sets the $dir variable to the path of the pkgIndex.tcl file. Transfer all the source files into a directory on the router's flash (or any other local storage device). Configure the execution of the pkgIndex.tcl file at tclsh startup with the scripting tcl init configuration command (for example, scripting tcl init flash:tcl/pkgIndex.tcl). When you have completed these steps, the pkgIndex.tcl file will be executed every time the Tcl shell is started in Cisco IOS, defining all the packages you've prepared. Now you can use the package require name Tcl command to load the packages you need in your Tcl script. In my February IP corner article, Small Site Multihoming, I've used an obscure name string option of the ip route configuration command to force the router to accept multiple otherwise identical static routes (plus it seemed like a nice way to document what the static route does). While this option is totally harmless on the point-to-point serial links that I was using, one of the readers experienced hard-to-diagnose problems on upstream LAN interfaces that disappeared when we've removed the name option from the configuration. As the solution presented in the article does not need the name option to differentiate between the static routes (the track keyword is enough to make a difference), it should be removed (and we've already removed it from the HTML and PDF version of the article). Update: It turned out the problems my reader experienced had nothing to do with the name option of the ip route command, but the generic advice still applies: don't use the features you don't need.